Splashes of the tropics in Margarita form. 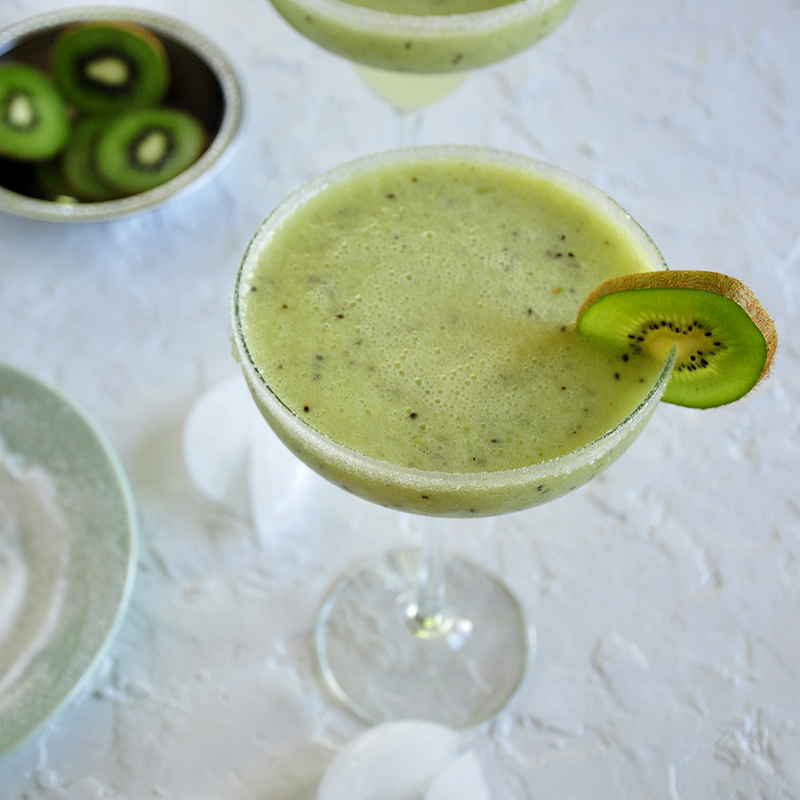 This Frozen Kiwi Coconut Margarita brings all the tasty margarita flavors together in one glass. Try one today. My wife asked for a kiwi cocktail, so why did I add coconut? Flavor. I first started off with just a kiwi margarita and I found the flavor to be far too light for my liking. It needed some extra fruity flavor to live up to our expectations for this drink. We added this flavor in two ways. 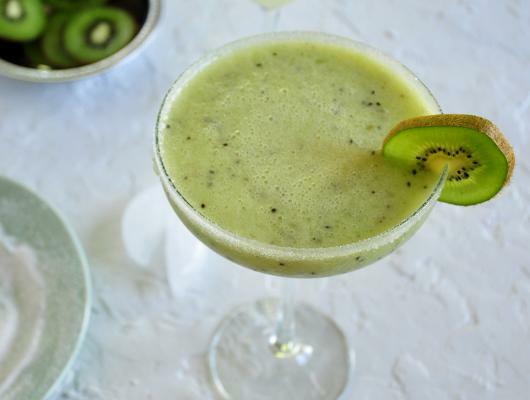 First, the coconut milk gave us a richness and texture that added to this kiwi coconut margarita. Secondly, I decided to add a splash of simple syrup to the drink.